Happy St. Patrick's Day everyone! This is one holiday I don't really do anything for besides dressing in green. When my kids were a little younger we built leprechaun traps and played it up more, but this year the extent of my celebrating was buying shamrock sugar cookies at the grocery store. Life has just been too busy lately. 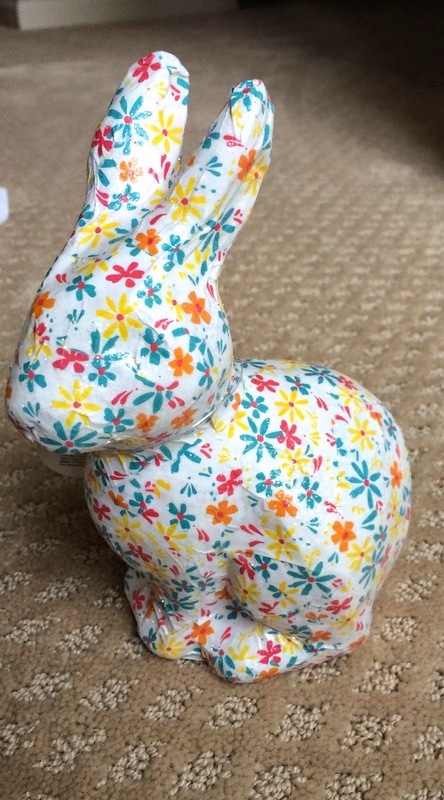 Instead I'm looking ahead to Easter! 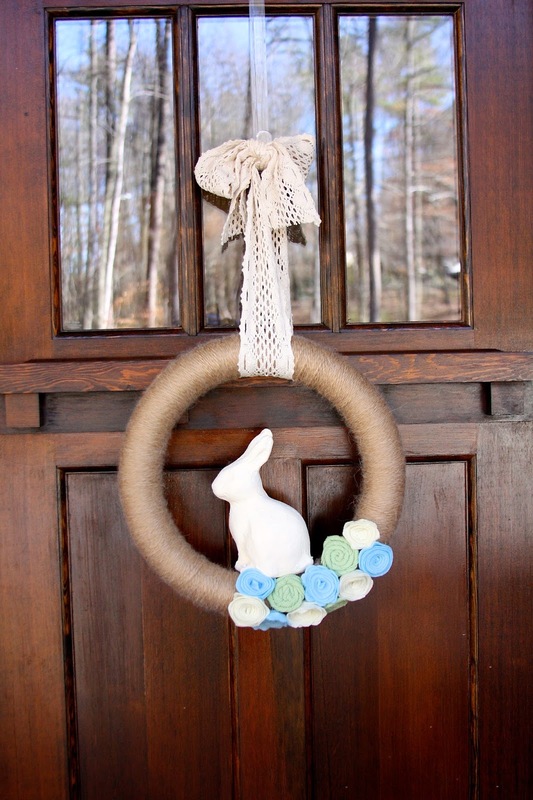 In a quest to figure out something to put on my front doors for Easter I turned to Pinterest and tried to find a few ideas. I saw this yarn wreath and fell in love it it. I got to work making my own and I'm so pleased with the outcome! It turns out, yarn wreaths are really very easy to make, but will just take a little bit of time. I wrapped mine one night while I was watching TV, so it seemed to go quickly. I just used a foam wreath and one "thing" of yarn for each of them. 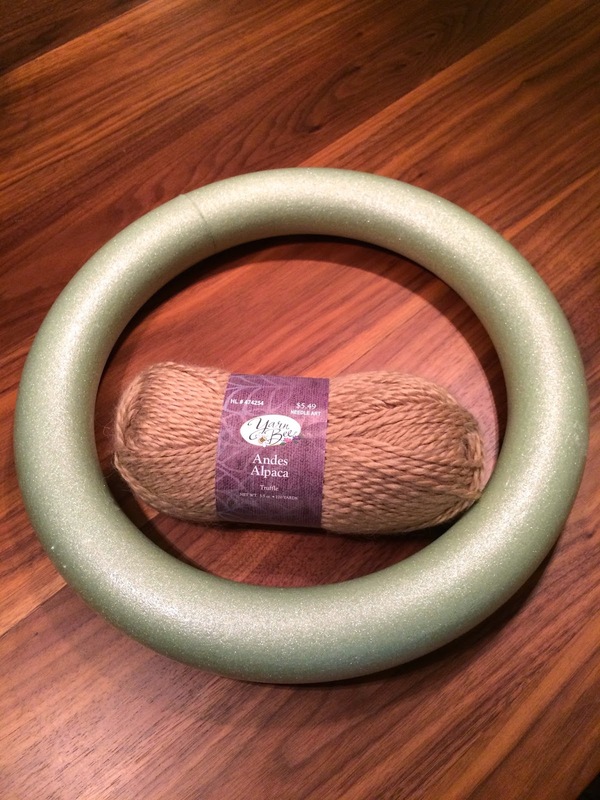 To get started, I tied the yarn around the foam wreath to have a starting place. 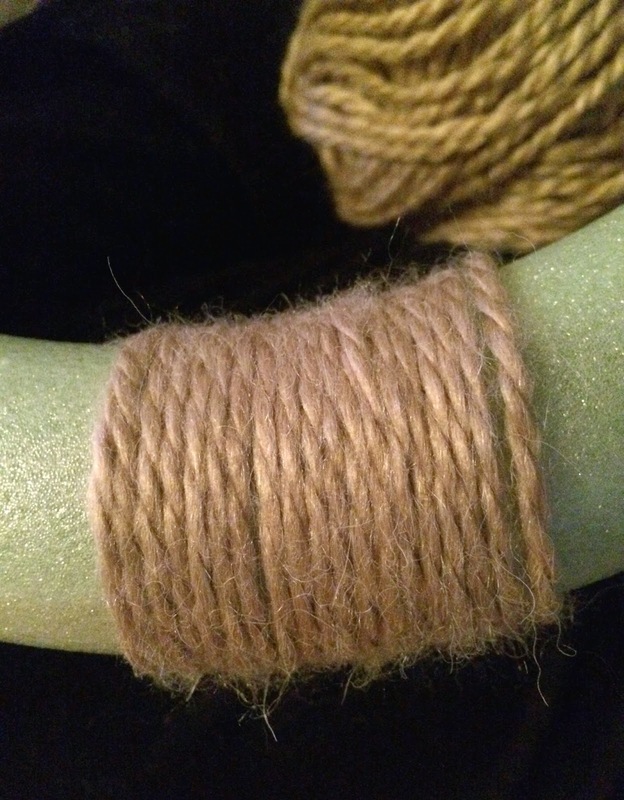 Then holding the yarn, I started wrapping it around and around and around, leaving it spaced out a bit to make sure none of the yarn overlapped or got out of line. 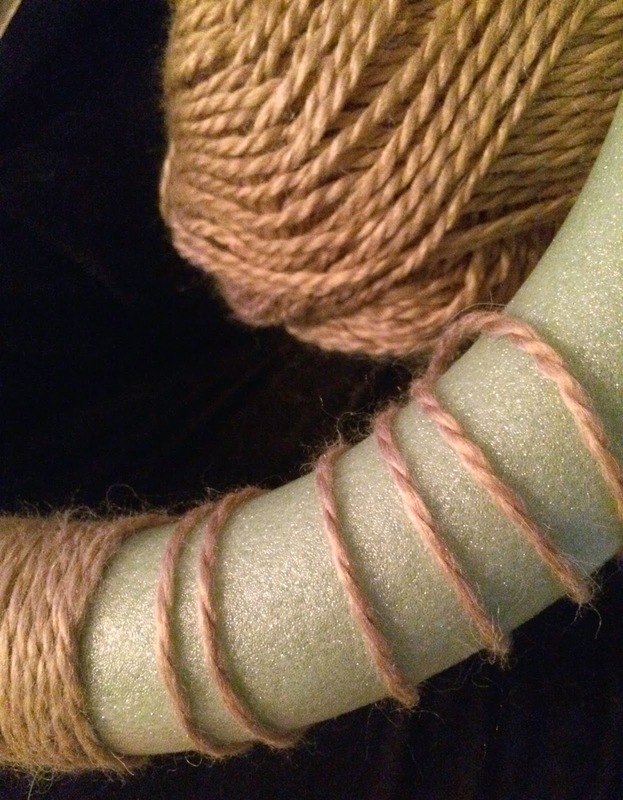 Then I would just push the yarn together to make it tightly wrapped. 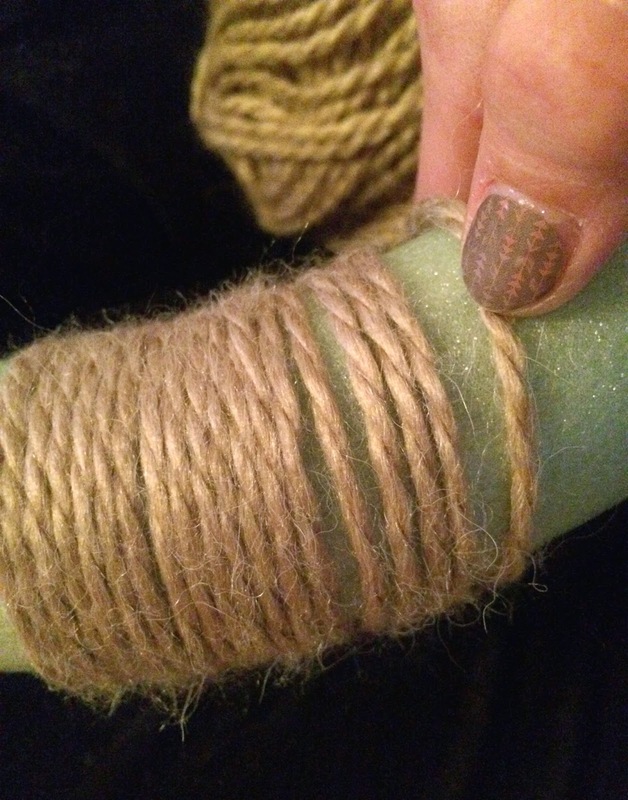 Then I pulled the end to keep it tight before I started with my next round of wrapping. 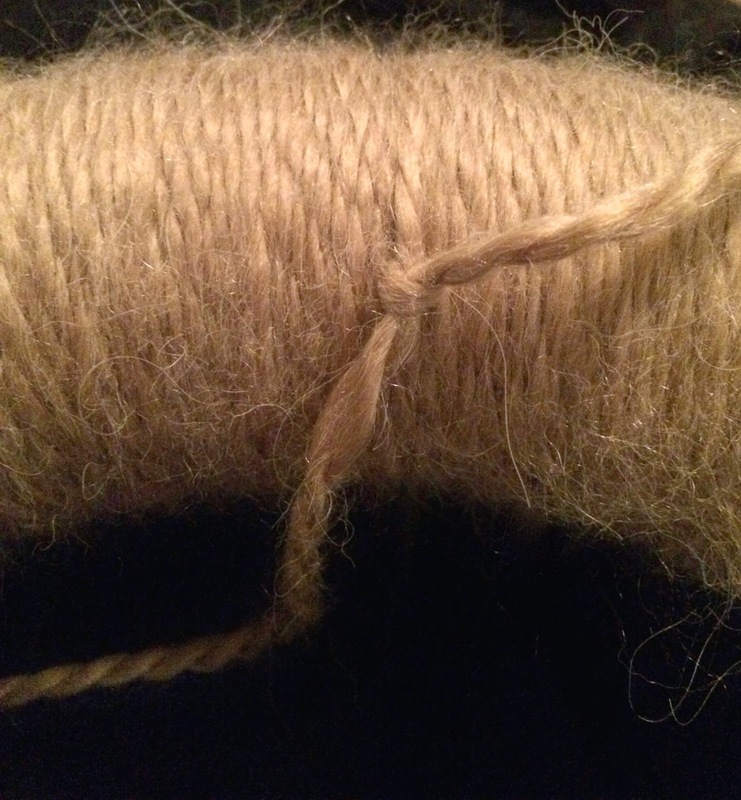 After making it all the way back around, I tied the ends together, clipped the excess yarn and was ready to decorate it! At this point I was stuck because I couldn't figure out how to attach the bunnies to the wreaths. 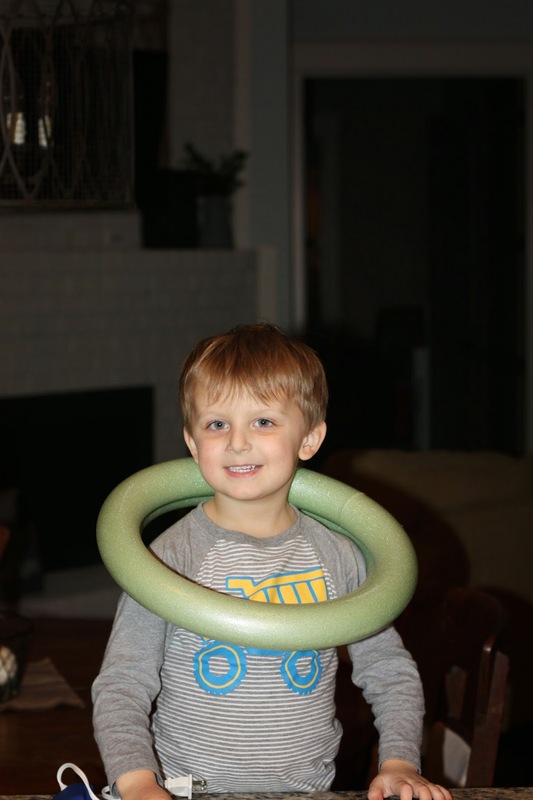 I kind of wanted them to be removable so these wreaths could be used after Easter. Then it dawned on me that if I could find pins long enough I could just pin the bunny to the wreath in a few different places since they were both made out of foam and the bunnies were really light weight. It worked like a charm and was actually nice because I could move them around a bit until I got the placement just right. If you look closely, you can see a white pin on the bunny's foot and I have another one on the tail in the back. 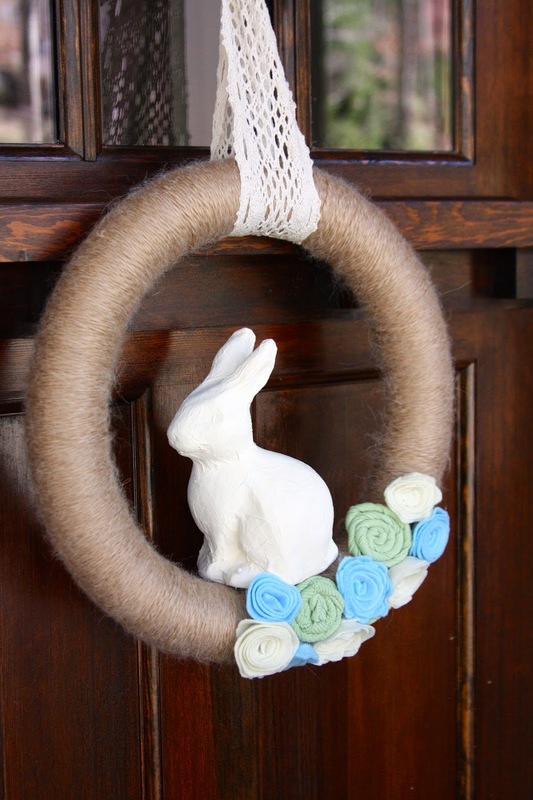 That's it for my Easter yarn wreaths! It was a super simple project and I'm sure I'll be making more for other occasions. 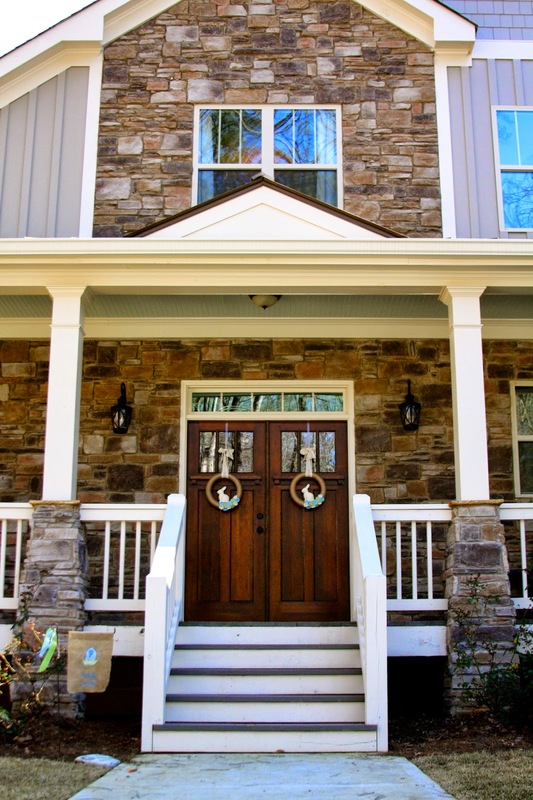 I just love having the outside of my house festive and decorated for holidays. Now that the weather has warmed up a bit I'm hoping to get some flowers planted soon and then we will officially be ready for spring! I love the wreaths!! The white bunnies make it pop! Love! And the flag is adorable!